Custom apparel printing made easy. Octopus Printshop specializes in screen printed apparel and graphic design services. We also offer custom embroidery, custom vinyl graphics and promotional products. We are an experienced small team – responsive and ready to serve you, and we’re experts at what we do. 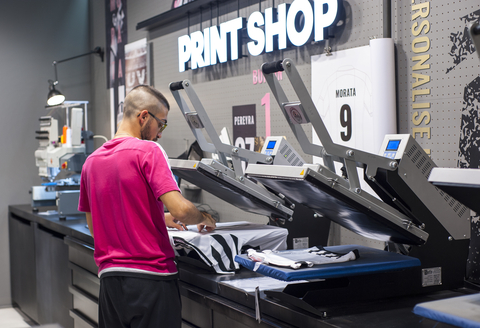 We print for everyone (apparel brands, startups, clubs, bands, restaurants).Whether you need a dozen printed shirts or thousands of shirts and fulfillment service, we do something for everyone. You’ll look your best with awesome quality, fast turnaround, and great value. We offer the lowest prices possible and still manage to deliver personal care, art support, quality printing, and quick turn around for every order. Every memorable promotion begins with a great idea. And lucky for you, that’s just our thing. Having been in business over 25 years, there is a reason we’re still here and thriving. Our clientele happily return to us again and again. In-house production cuts out the need for a middle man and means our warehouse consistently delivers the fastest lead times in the industry.